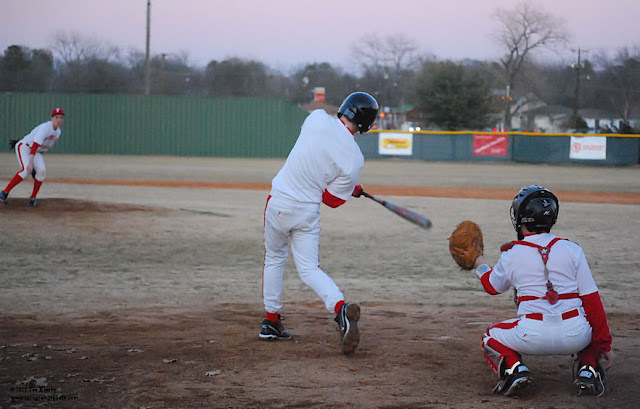 The weather warmed up yesterday, so I headed out to the ball field to catch some JV practice. I need to work on my settings, outdoor baseball is certainly different than indoor basketball. This morning is a 5K run in Dallas. I haven't been able to run much because of the weather. I hope I can at least finish vertical. The Lady Tigers soccer team beat Kaufman last night. They are now 3-0 in district play and 11-3-1 overall. The boys lost at home to Kaufman in a shootout.